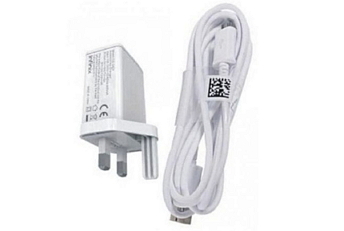 One thing is almost certain about your original and factory bundled phone chargers, and it is that at one point in time it will go bad maybe due to sudden excessive voltage surge, or just as it is normal with electronic pieces being used over long period of time, they tend to depreciate and at some point they might just get faulty and stop working. Then for those that are a bit careless, they might end up misplacing their chargers at some point in time or even getting it stolen from the public environment where they normally go to charge up their phones as result of epileptic power supply in the country. These days many smartphones came with fast charging technology and for the fast charge to be fully activated in the phone, the phone needs to be charged with the specific or its rated factory bundled charger that we normally called fast charger down here. The so called fast chargers are normally rated with 2A current or above 2A against the non -fast chargers that are normally rated below 2A current. And now, there comes a time that your factory bundled charger has gone bad or missing and you need to replace the charger with another good fast charger that will work exactly like the original charger, but at this point you might be sceptical of getting a perfect replacement fast charger. After all, there are certain android devices that don’t have physical support or Carl care centres in the country, where one can easily go to obtain the exact type of the factory bundled chargers but you will definitely need to go for alternative and fast quality chargers that you can easily lay your hands on. And again, one thing that we will like you to know here is that, certain android devices are highly selective to alternate fast phone chargers and the charger you might want to use for replacement will not really give you proper charging as required. In that vein we want to suggest for you the 2 best alternative replacement fast android phone chargers that are readily available in your local phone or phone accessory stores that you can always go for when looking for a fast charger to buy. 1. The White triple pin Infinix Charger – This is one of the most common android phone replacement fast chargers out there that you can easily lay your hands on. And it is a very strong and durable fast charger with output current rating of 2A. Although it also has the black variant, but the white coloured one is recommended. But one little drawback of this charger is that in few occasions it doesn’t still activate the inbuilt fast charge in certain android devices that select chargers and thus might not charge those particular devices fast as required. 2. 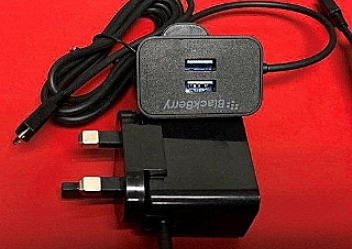 The Generic Blackberry inscribed detachable 3 Pin to 2 Pin charger – This is currently one of the best fast phone chargers out there that is highly recommended for anybody that is looking for a replacement fast android phone charger to buy. This charger has a triple pin detachable plug converting it to 2 Pin. The charger comes with a non-detachable long chord for the primary fast charging and it also features 2 USB ports at the top end for multiple charging with USB chords. Although to maintain a fast charge on your device with this charger, it is advisable to use only the primary chord for charging and don’t attach other devices to any of the USB ports. 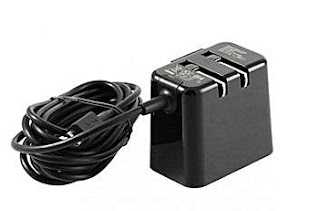 The output current rating of this charger is given as 2.1A and it is capable of charging any android phone with quick charge technology fast without really being selective of any device. With long cord, it is an added advantage for one can drop it in their desired position during charging. Again if you are going for this particular charger, it is advisable to constantly maintain and use only the 3 pin detachable plug and not unnecessarily pulling it out to make use of its 2 Pin.